Thank you for your interest in our Riding Programs! It is our main priority for our visitors - both children and adults - to have the best and safest possible experience while interacting with our gentle horses. 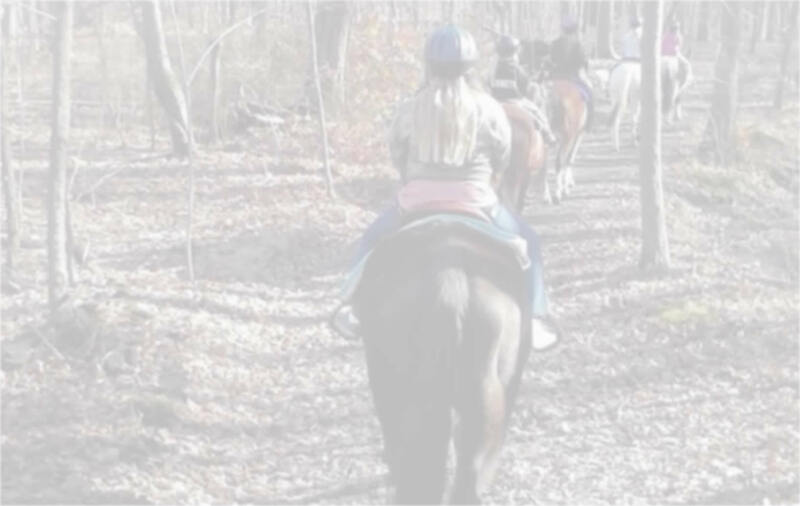 Therefore, we have forms which must be fully and properly executed before any of your equine adventures at In The Woods Barn & Garden Center LLC can begin. It is convenient to print these forms at home where you may read and sign them and bring them with you to our farm. A child who attends without the proper forms fully signed and dated will NOT be permitted to ride. We require these forms to be printed with Adobe Acrobat Reader because it is the industry standard.The printed forms must be 100% readable with no text missing and they must exactly match the document as it is displayed on your computer screen. Please sign and date the documents where indicated and bring them with you on the day of your visit. Alternatively, if you are having trouble printing the required forms give us a call and we can mail or email them to you. Finally, the forms are readily available to be picked up in our offices at the farm if you choose to fill them out here. To view and/or print these forms you will need the latest version of Adobe Reader. If you need the latest version please click here. ALL student riders must fill out required document. If student rider is under the age of (18) a parent or legal guardian must execute the form in it's entirety.